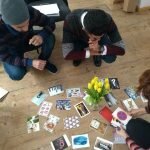 Experiences with Peace Work – An Exchange between DOZ, LaOnf, and Friedenskreis Halle – DOZ e. V.
On 28.03.2019, we visited Friedenskreis Halle with members of LaOnf to discuss non-violent approaches to strengthening civil solidarity in both Germany and Iraq. This visit was part of our project “Preventing Violent Extremism as a Root Cause of Migration”. 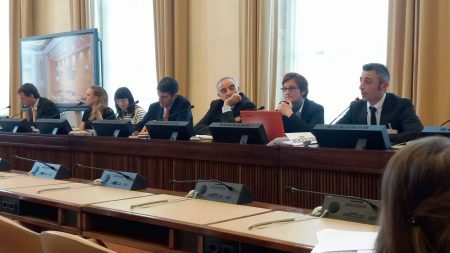 Friedenskreis presented their ongoing work on the local level, and LaOnf described their various initiatives to combat violence in their home cities. It was surprising how many similarities could be seen with regard to implementing activities, particularly with regard to establishing trust and motivating involvement among potential participants. Films were shown on the subject of discrimination in Germany and the work being done by the representatives of LaOnf in their hometowns. The attendees from Iraq were surprised to hear that there were also social conflicts to be resolved in Germany! Overall, this was a highly valuable exercise for all involved, with knowledge being shared from both sides and transnational bonds between civil society groups being greatly strengthened.